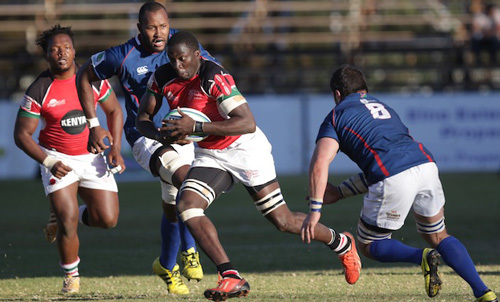 The planned friendly rugby match between Namibia and Kenya has been called off, according to a statement this week. Team Media Manager, Daniella Filipovic Tuesday said, that the planned game would have been covered by World Rugby and the Kenyan Rugby Union, with the aim to prepare the team’s upcoming Europe tour in November. Flipovic said that despite the Namibia Rugby Limited (NRL) submitting the selected team and traveling party to the Namibia Rugby Union (NRU) for approval, the submission thereof to World Rugby did not meet the approval date. “With changes made by the NRU, any submission now will be too late as the match was planned for the Saturday, taking into consideration preparation, travel time, air fare as well as medical requirements for traveling to Kenya, like Yellow Fever Vaccines,” she added. The selected squad submitted for approval would of seen the following: Jason Benade, Adriaan Booysen, Chrysander Botha, AJ De Klerk, Darryl De La Harpe, Janry Du Toit, Thomasau Forbes, Thomas Kali, Cameron Langenhoven, Ruan Ludick, Adriaan Ludick, Justin Newman, Obert Nortje, Mahco Prinsloo, Andre Rademeyer, Desiderius Sethie, Pieter Steenkamp, Damian Stevens, Mahepisa Tjeriko, Johannes Tromp, Daniël Van Vuuren, Riaan Van Zyl and Wihan Von Wielligh. The team were to be accompanied by Assistant Coach – JP Nel, Team Manager – Irvin Newman and Physiotherapist – Innis Erasmus. Meanwhile she said the already confirmed national team is set to kick off their 3 week tour in Europe against Russia on 10 November, Spain on 17 November and Portugal on 24 November. PreviousWho are the winners and losers in Africa’s Continental Free Trade area? Who will win the 2013 Africa Nations trophy?